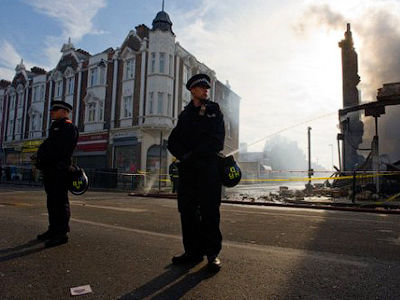 British PM David Cameron is considering banning looters from social networks used to organize the country riots as he addressed the British parliament in the wake of clashes that engulfed the country. ­What started as a peaceful protest against the police shooting of a man in North London quickly grew into scenes of bedlam. In his address to the British parliament, the prime minister started with some honest criticism of police officers. 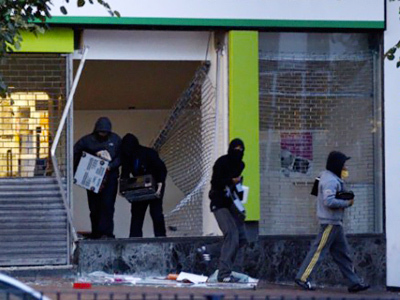 Their tactics, Cameron pointed out, were wrong – they were treating the looters as civilized public rather than criminals. 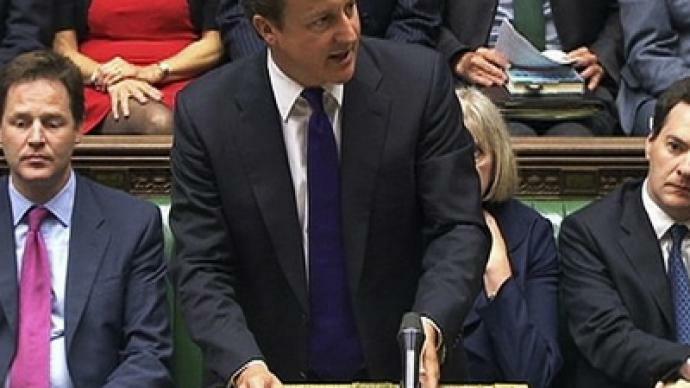 The PM outlined measures to prevent further violence. He made arrangements for water cannons to be available within 24 hours’ notice and mentioned the issue of the army potentially being called. The issue has been discussed at the Cobra emergency response meeting, and though the idea has been dismissed for the moment, it was not ruled out completely. 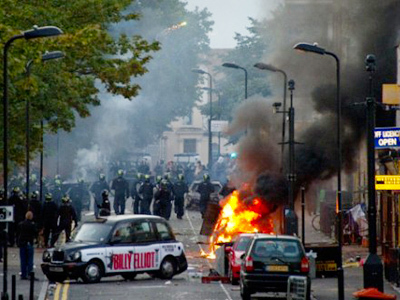 Cameron also said he considered disrupting online social networks such as BlackBerry Messenger and Twitter during the riots. 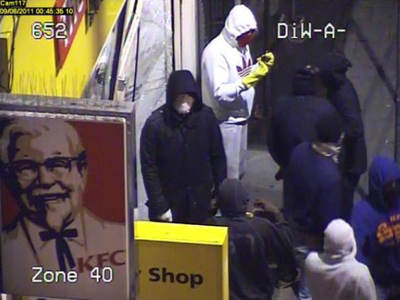 According to police, the looters used social networks to co-ordinate their actions during the unrest. “These actions are organized with the help of the social media. Free flow of information can be used for good, but it can also be used for ill. So we are working with the police, the intelligence services and industry whether it will be right to stop people communicating via these websites and services,” said the prime minister. 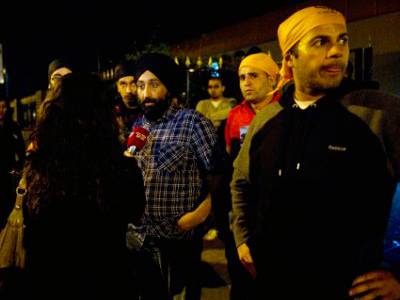 ­He also noted that he had asked the police if they needed any other new powers. “So I announce today that we are going to give the police the discretion to require the removal of face covering under any circumstances if there is reasonable suspicion they are related to criminal activity,” added Cameron. Meanwhile videos have appeared on YouTube showing police officers in Manchester employing the robust measures that have been called for by the PM. They were forcibly removing the alleged rioters from bicycles using very robust tactics. The videos caused a lot of criticism online, and the IPCC (independent police watchdog) has promised to launch an investigation into that. 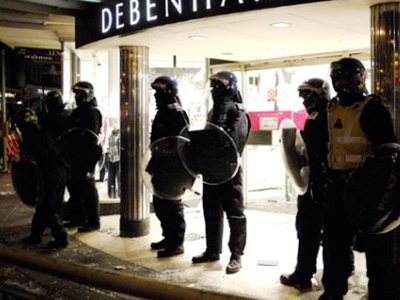 The fifth night of the riots was, however, very quiet. There was no looting or rioting on the streets with 16,000 police officers patrolling the streets. Arrests so far total 1,200 over the last few nights. 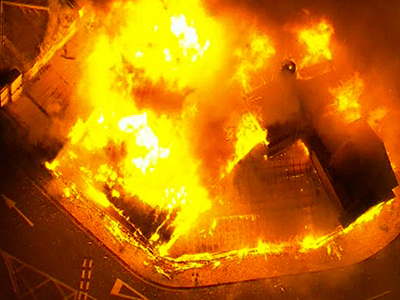 An RT correspondent in London said there appeared some sympathy with rioters online – people are leaving comments on social networks and on YouTube saying the looters have nothing else to do, and the unrest is a sign of their despair and dissatisfaction. ­Political activist Christ Knight told RT that David Cameron is going to provoke a revolution in the UK. “If it needs a revolution to enforce the rule of law, so be it,” said Knight. “Rule of law cannot be enforced if it is one law for the rich and one for the poor. When it comes to the question of violence, legitimate law enforcement does require a certain amount of coercion, so let us have it,” he added. He also stated it is ironic the British PM is using social media as a scapegoat today, while not long ago he was praising revolutions which used social networking in Egypt and Tunisia.